Bluewater Plumbing, Heating, and Air Conditioning is a comprehensive plumbing, heating and air conditioning company that specializes in residential and commercial water and air systems. We offer a full range of products and services that include complete repairs and maintenance, full system installation, and old equipment replacement. We are New York licensed HVAC contractors and plumbers in Carroll Gardens, fully certified to work on all products from reputable manufacturers. 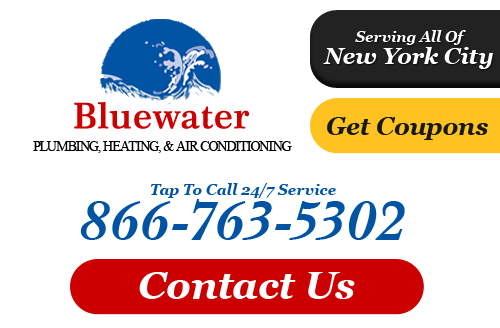 Contact Bluewater Plumbing, Heating, and Air Conditioning today when you need service! At Bluewater Plumbing, Heating, and Air Conditioning it is our mission to provide you with the highest level of quality service and superior products anywhere in the industry. Our plumbers and heating contractors perform every job with absolute precision and skill and never settle for less than our very best. We value each of our clients and work closely with you through each step of our work in order to guarantee your absolute satisfaction. We always provide a complete rundown of the work that needs to be done and give you accurate estimates in advance. With Bluewater Plumbing, Heating, and Air Conditioning there's never any guesswork and no hassle. The next time you need you HVAC repaired or a new system installed contact Bluewater Plumbing, Heating, and Air Conditioning. We provide innovative heating & cooling solutions for all types of systems for your home or office. From standard HVAC units for residential properties to large scale complex systems on multiple levels in major commercial properties, we can help you with every component of your heating or cooling equipment. We have helped hundreds of clients throughout Carroll Gardens and we can help you with your heating and cooling needs as well. 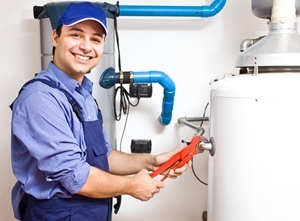 In addition to our distinguished HVAC service we also offer complete plumbing service as well. We do everything from sealing leaks, to pipe and part replacement, and major and minor plumbing repairs in Carroll Gardens, NY. We specialize in plumbing installations, backflow prevention, hot water heaters, drain cleaning, and even fire suppression. With Bluewater one company can do it all for you. If you're considering remodeling your bathroom or kitchen we can help you every step of the way with implementing new plumbing or rerouting your current plumbing. If you are looking for a professional Carroll Gardens plumber or heating contractor then please call 866-763-5302 or complete our online request form.